Willett Bourbon is the eleventh most productive bourbon distillery in the world. 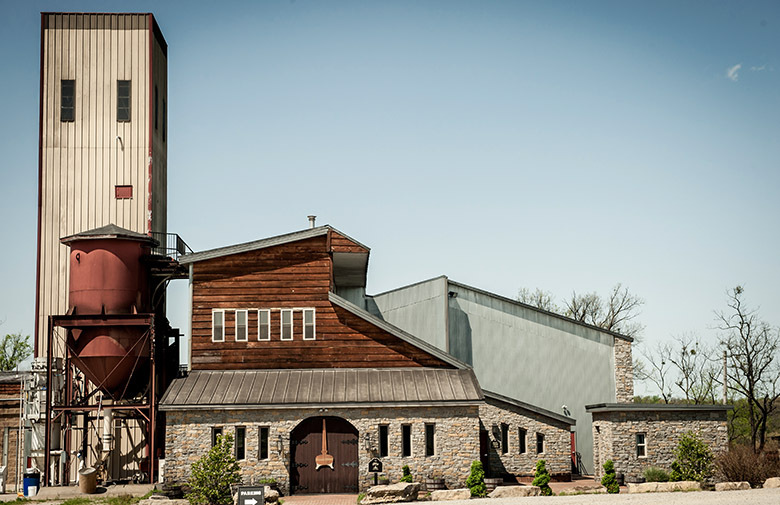 The Willett Distillery is located in the "Bourbon Capital of the World" in Bardstown, Kentucky and produces in excess of 20 brands, labels, and variations of Bourbon and whiskies. The Willett Family is one of the "Old Guard, Old Money" bourbon families in the country and one of the only a handful that still continues their craft today. William Willett, Sr. was the patriarch of the Willett Whiskey family. He was born in 1707 in the colony of Maryland almost 70 years before the American Revolution. He was the son of a very wealthy Silver Smith from London, England named Edward Willett who was granted a huge swath of land in the new world by the King. Edward was so good at his craft that he was inducted into the Pewterer’s Hall of Fame in London in 1684. It was Edward that left England and ventured out into the new world and was one of the Catholic noblemen that helped settle Maryland. William Willett, Sr. was the first of the Willett family to get into the distilling business (he also carried on his father's craft as Pewterer) after he married his wife Mary in 1738 in Maryland. The Willetts called Prince George County, Maryland home between 1692 and 1792. It was there in Mount Calvert, Maryland off the Patuxent River (just 10 miles from the nation's capital) where the family owned a tavern and began distilling a "Maryland Rye Whiskey." William Willett, Sr. had 14 children and when he died, he passed the silversmith craft on to his oldest son Edward, but left the distillery business to his second son William Willett, Jr. Willett Junior was the first of the Willetts to learn distilling from a very young age and in 1792 decided to move his family to Nelson County, Kentucky. His son John David Willett was born 1841 and started working at the Willett & Frenke Distillery in 1855 and the age of 14. John David became the Master Distiller and 33% owner of that distillery. He would go on to be the Master Distiller at four other distilleries during his lifetime. Beginning with John David the Willetts not only became a very prominent clan but actually became one of the royal families of the Bourbon world. Benjamin F. Mattingly had the good sense to marry Catherine Willett, one of John David's daughters. Ben went to work at one of the companies the Willetts owned, now called the Willett & Frenke Distillery in Louisville. The Willetts also owned the Morton’s Spring Distillery in Nelson County, just south of Bardstown. Then Thomas Selvin Moore, another soon to be legend distiller, went to work at that distillery in 1874, joining Ben Mattingly. In 1876, “Failing health and eyesight" caused John David Willett to transfer all his interest in the company and the two distilleries to his daughters and legally in those days their husbands (including Ben), and they began operating the famous distillery called the Mattingly & Moore Distillery (now operating as the Barton 1792 Distillery). At the time their main brands were Belle of Nelson (named for John David Willett's winning racehorse) and Morton’s Spring Rye. In September 1883 Aloysius "Lambert" Willett, was born in Bardstown, Kentucky. Lambert went to work at Mattingly & Moore Distillery at the age of 15. Lambert also did an apprenticeship at the Willett & Frenke Distillery in Louisville as well. In January 1909 Aloysius Lambert "Thompson" Willett, was born in Bardstown, Kentucky. Three years after the repeal of Prohibition in the spring of 1936, at the age of 27, Thompson and his kid brother, Johnny "Drum" Willett, who was a young engineer, started the Willett Distilling Company. Some of the Staff of Whiskey University in from of the Pot Still at the Willett Distillery. Pictured above from left to right Professor Lt. Colonel Christopher Hart, Devere Walker, Professor Lt. Colonel Carl Ingrum, Bobby Graham, guest, Casey Williams, Administrator Melissa Duncan, Professor Colonel Craig Duncan, Dakota Mercer, Professor Lt. Colonel Christopher Yow, Professor Lt. Colonel Ross Osborne, Monya Hunter and John Hunter. Thompson Willett builds the Willett Distillery on the Willett Farm in Bardstown, Kentucky. Only nine months later they barrelled their first batch of 30 barrels of whiskey and stored it in their newly built warehouse on St. Patrick's Day. In March of 1942 Thompson introduces their Flagship brand "Old Bardstown." Two of Thompson’s brothers, Paul and Bill Willett, served in the Army Air Force during World War II and joined the distillery after the war. Paul was in charge of bottling and Bill took over the distilling operations. In the early 1960's Thompson Willett developed "Johnny Drum" Bourbon, exclusively for a wholesaler Trader Joe's in California and Wine Baron Robert Mondavi. In 1964 Old Bardstown wins a Gold Medal at a Kentucky Bourbon competition the very next month Congress and Lyndon Baines Johnson declare Bourbon, America's Official Native Spirit. Like his great-grandfather Thompson, has many children, numbering ten. The Willett Distilling Company continued to operate until the early 1980’s. On July 1, 1984, Even G. Kulsveen, son-in-law to Thompson Willett, who married Marta, purchased the property and formed "Kentucky Bourbon Distillers, Ltd.," registered distillery DSP-KY-78. In 1994 Even Kulsveen releases their Small Batch Boutique Bourbon Collection including the brands of "Rowan's Creek, Noah's Mill, Kentucky Vintage" and "Pure Kentucky." Even's son, Drew Kulsveen, joined his father at the beginning of 2003 and Even's daughter, Britt Kulsveen Chavanne, and her husband, Hunter Chavanne, joined the business towards the end of 2005. In 2008 Drew Kulsveen introduces his first brand in "Willett Family Estate Bottled Bourbon" and later that year they release Willett Family Estate Bottled Rye. In early 2009 the Kulsveen family releases "Willett Pot Still Reserve" in what is reportedly a pot still shaped bottle copied from original still blueprints of the plant back in 1936. This version became an instant success because of the shape of the bottle and the "Gulp, Gulp, Gulp" sound it makes when pouring from the bottle. In 2011 the Willett Distillery opens a visitor center and begins a public tour of the historic family property. In January 2012 after three years of renovations to the distillery including a brand new copper pot still the Willett/Kulsveen family distilled its first whiskey at the new plant. In 2015 "Willett Family Estate Bottled Rye Whiskey," Aged Two Years, is introduced to the world. This is the first Whiskey to be released that came off the new Willett copper pot still. In 2016 the “new Old Bardstown 'Bottled-in-Bond" and the “new Old Bardstown Shield" at 90 proof debuted and began selling in all 50 states.